Despite being one of the top pitchers of his generation, for the most part, Tom Glavine cards and memorabilia remain extremely affordable. Not helping matters is the fact that his rookies come from an era of massive print runs and wide availability. With a Hall of Fame resume, it's easy to jump in still and collect the pitching great. 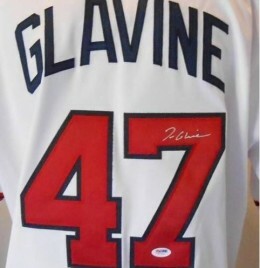 Winner of two Cy Young Awards, Glavine is best known for his years with the Atlanta Braves as a part of a stellar rotation that also included Greg Maddux and John Smoltz. Appearing in five World Series with the team, Glavine was named the World Series MVP in 1995. 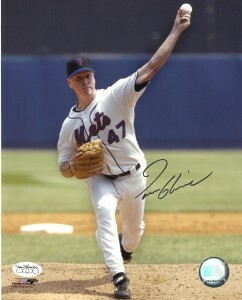 Between the Braves and the New York Mets, Glavine finished his career with 305 wins. He was an All-Star ten times. Also a standout on the ice, Glavine was drafted by the Los Angeles Kings in the fourth round of the 1984 NHL Draft. 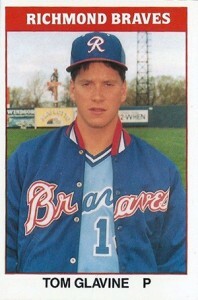 Collectors have four different Tom Glavine rookie cards to chase. All cost very little. Even with his induction into Cooperstown, don't expect prices to jump very much. For those looking for premium Tom Glavine cards, rarer glossy versions of his rookies, early minor league cards and high-end hits are the best bets. 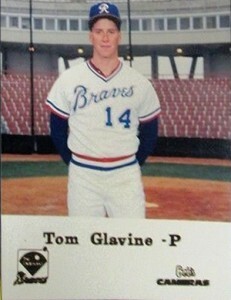 The first MLB Tom Glavine card is actually from a 1987 set. 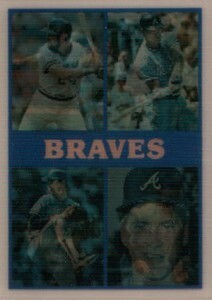 The team card isn't an official rookie card, but it is a cheap option for Glavine completists. The Team Preview card features 12 total members of the Braves. In familiar Sportflics fashion, they're showcased with lenticular images. It was included as part of a 26-card box set. 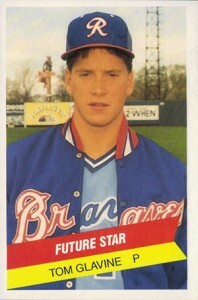 Like all Tom Glavine rookies, there is no shortage of his 1988 Donruss card. 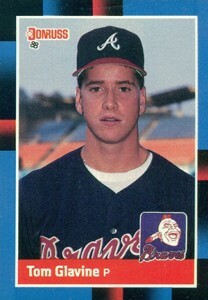 The drab photo and striped borders doesn't make for that most attractive card. Even high-grade copies from PSA and BGS shouldn't cost very much. 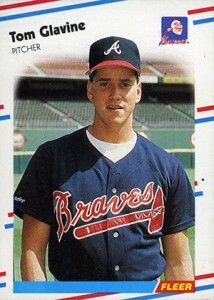 The brightest of Tom Glavine's rookie cards, it also captures the young player with the semblance of a smile. While the basic version shouldn't set you back more than a couple of dollars, there's also a Glossy version. That said, it's also widely available so there's not much of a premium. 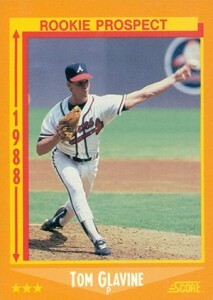 1988 Score Baseball is the only Tom Glavine rookie card to show the pitcher in action. Part of the company's debut set, the orange borders are bright and the arrows that are integrated into the design are an odd choice. Like Fleer, there's also a Glossy version. 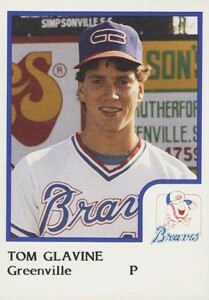 Available only in a factory set that had a reported print run of 5,000 copies, the 1988 Score Glossy Tom Glavine is one of his most popular cards. It's also relatively hard to find. The portrait is simple, but it works. Don't worry about having to pay more than a cup of coffee for this rookie. There are plenty to go around. 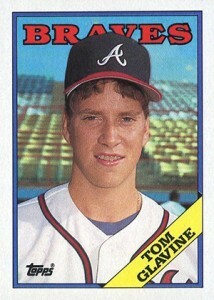 If you're looking for a rarer option, there's the 1988 Topps Tiffany Tom Glavine. Though typically rare, the 1988 Topps Tiffany set came with a print run of 25,000 copies. Though in much shorter supply than the regular card, it's still easy to find as far as Tiffany cards go. 2018 Topps Dynasty Tom Glavine Patch Auto 5 10! 1989 - Fleer - Tom Glavine - GRADED GEM MINT 10!!! 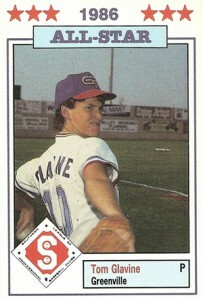 Here's a gallery of Tom Glavine minor league cards that came out before his rookie cards. Most are scarce, especially when compared to the mass availability of the pitcher's first MLB cards. HOF Tom Glavine 1987 TCMA Inter'l League #32 TEAM ISSUE X 3 LOT 305 WINS! 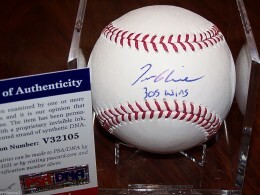 Below you will find an example of what Tom Glavine's authentic signature looks like. This can be used as a first point of reference for determining the legitimacy of autograph memorabilia, but is not a substitute for having your items authenticated by a well-respected professional autograph authentication company. Some of the trusted sources within the sports memorabilia market include the following companies: PSA, JSA, Steiner, Schwartz Sports and Tristar. Click on any of the images below to view full size photos. The letter "T" includes a curve to the left making it resemble the number "7"
The pen lifts for a closed "o" that flows into the letter "m"
The "G" is printed in a way that it looks like the number "6"
The "a" is implied, following into a small "v-i-n"